Homeowner's vital role - What you can do! • If approached directly by a Buyer who is not accompanied by a Realtor, do not allow them into your home unescorted. To ensure your security, direct them to contact your Beiler-Campbell Realtor. • Let your Beiler-Campbell Realtor do the selling. To assist in making a Buyer comfortable when looking at your home, it is best not to be present during a showing appointment. • Be careful about saying anything to Buyers or their Realtor that could compromise our negotiating position, especially regarding price or your urgency to sell. 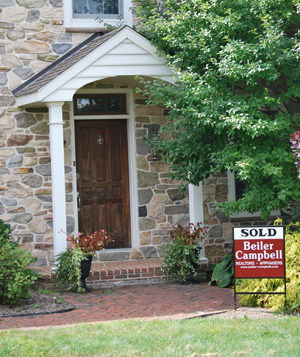 • Let your Beiler-Campbell Realtor know of any changes in the property’s condition that would need to be disclosed.